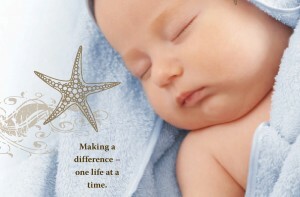 Grace House Pregnancy Resource Center, Inc. is a public 501(c)(3) non-profit organization. We exist to help people face unplanned pregnancies by sharing the truth in love about abortion risks & procedures, parenting, & adoption, as well as the Gospel! We offer accurate information in a loving and compassionate way in order to enable women (and men) to make positive choices. Our mission is to meet the practical, emotional, and spiritual needs of those facing unplanned or crisis pregnancies. Click the picture above to see a great 3 minute video explaining what we do! Emotionally, we love, support, & educate the young adults we see to enable them to make life-affirming decisions for themselves & their unborn children. They learn about fetal development, details about pregnancy options, & what help is available to assist them to carry to term. We offer information on God’s plan for sexuality so they can make good, healthy choices. We encourage & challenge them to reach for higher goals & self-sufficiency. Spiritually, we offer them a chance to hear how to begin or strengthen their relationship with God. We also offer to connect them to people in local churches. We provide ongoing personal support & mentoring of both men & women as they continue to participate in our earn-while-you-learn program through Bible studies, prayer, & discussions. Through our Successful Parenting (earn-while-you-learn) Program we offer them a chance to receive free maternity & baby clothing & items from our on-site “Boutique” while they become educated on issues such as pregnancy options, pregnancy, parenting, relationships, & life-skills. In times of unplanned pregnancies we are here to offer people the help they need so they won’t feel “boxed in” to the choice of abortion & that they have no other options! Grace House staff and volunteers undergo extensive, on-going training and adhere to standards of integrity, compassion and professionalism. This ensures only the finest care for those who come to the center. We are almost solely supported by the community & we serve people of all ages, races, religions and marital statuses. Grace House is not a political organization or a professional counseling center. 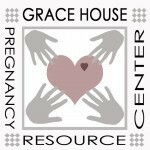 Grace House Pregnancy Resource Center does not perform or refer for abortions, nor are we affiliated with an abortion clinic.